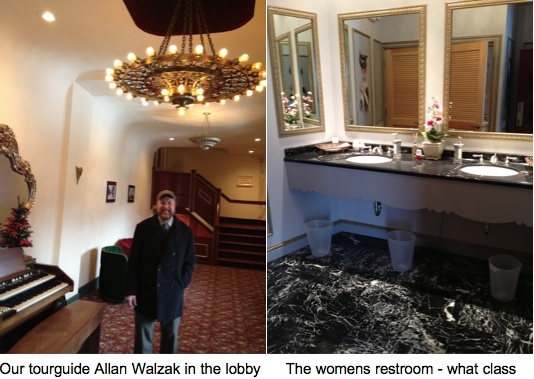 Allan Walzak takes us for a tour of the CASINO THEATRE in VANDERGRIFT, PA. The Casino Theatre was built in 1900 in the Greek Revival Style. The theatre’s most distinctive and historic feature is its temple front with four Greek Ionic columns. From its founding until 1927, the Casino hosted live entertainment and was a popular stop along the “Vaudeville Circuit”. Among its historic visitors during the past century are President William H. Taft, world boxing champion Bob Fitsimmons, composer Hoagy Carmichael, the Lone Ranger, Tex Ritter and the Three Stooges. In 1927 the Casino was remodeled as the areas largest movie theater. In the 1950’s, the theater was converted to show wide-screen movies to compete with television. The first show was “The Robe”, a Biblical spectacular. Many generations of local residents now reminisce about enjoying popcorn and movies at the Casino with friends, school groups, or that special guy or girl. More that a few “veteran couples” credit holding hands in the balcony of the Casino as the beginning of their long-lasting marriages. In 1981, with the building of the new style, multi-screen movie theaters throughout the valley, the Casino could no longer attract sufficient audiences, and the theater closed its doors. A performing arts company briefly presented some stage plays in the mid 1980’s, but could not find financial success, and the auditorium’s seats were removed and the theater was used for storage space. When the building was threatened with demolition in the late 1980’s a community group spearheaded by high school English teacher Eugene Iagnemma organized and volunteered to restore the theater to a showplace for future generation, and secured a place on the National Register of Historic Buildings. In 1992, the group formalized as Casino Theatre Restoration and Management, Inc. (CTRM), a non-profit corporation, and began restoration work. The architectural firm of McLachlan, Cornelius and Filoni, who have restored Heinz Hall and the Benedum Center in Pittsburgh, and who are nationally recognized as experts in historic theater restoration, were commissioned by CTRM to draw plans for the restoration. The Casino Theatre is once again enjoying the reputation and popularity of her heyday. 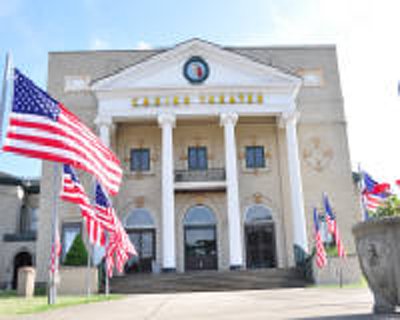 Audiences from throughout the Alle-Kiski valley and well beyond have filled the auditorium and enjoyed the wonderful entertainment and the unique atmosphere of a “real theatre” ever since the doors of the theatre reopened in 1995. This entry was posted in Danna's Radio Diner Archive and tagged Greek Style, Hoagy Carmichael, Lone Ranger, Mae West, Tex Ritter, Three Stooges, Vandergrift PA, vaudeville, William H. Taft. Bookmark the permalink.